Operating Systems and Systems Programming for the 3rd year Special Degree Students of Computer Science Course. An Evolution of internet application and usage, World Wide Web (WWW) offers a great contribution to the global society. One of the major application domains is sharing of the knowledge of usersâ€™ through a large repository of valuable opinions in the form of texts from different people on numerous products and services at the WWW. It is not a straight forward process to access these opinions because the available number is vast, and understanding what is actually meant has always been problematic considering the complexity of human languages. The main objective of the study is to provide accurate, clear cut information with a numerical justification quantifier for decision making activities based on a vast number of review comments when users are buying a product or obtaining service via WWW. This study simulates the cognitive ability of the human brain, up to some extent by identifying concepts and process with the aid of a large semantic knowledge-base that we create through natural language processing techniques. In this study, concept extraction from natural language text is achieved in two steps, part-of-speech based extraction and dependency based extraction. The experiment shows promising state of the art results, proving we have achieved successfully using human knowledge with the domain knowledge to analyze sentiments. M. G. N. A. S. Fernando, Janna. V, Asanthi. HHAT, Yatigala. MS, (Mar 2015), "Achievement of Competency ICT Computer Science and Similar Disciplines for undergraduate of Sri Lanka" , Orlando, Florida, USA. M. G. N. A. S. Fernando, Ekanayke. MB, (Jan 2013), "Quality Improvement of ICT Education through Pedagogical Transformation In the Sri Lankan Context" , in International Conference on Advance Education and Management [ICAEM2014 , Beijing, China. 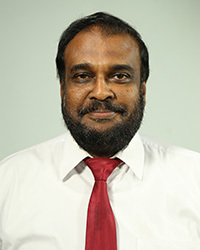 Aloka Munasinghe, H.L. Premaratne, M. G. N. A. S. Fernando, (Dec 2012), "Simulation Model for Dengue Outbreak Prediction"
Tharushika Silva, M. G. N. A. S. Fernando, (), "Knowledge Based Approach for Concept Level Sentiment Analysis for Online Reviews"
S N Ariyadasa, L K Munasinghe, S H Senanayake, M. G. N. A. S. Fernando, (), "Data Mining Approach to Minimize Child Malnutrition in Developing Countries" , in International Conference on Advances in ICT for Emerging Regions , Colombo, Sri Lanka. M. G. N. A. S. Fernando, (), "Floriculture Knowledge Based Expert System"